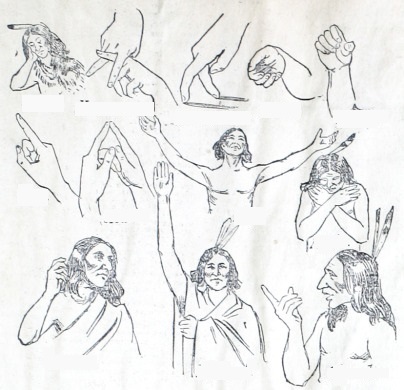 When hunting, Native Americans used signals to communicate rather than words in order to not scare off the animals. Storytelling was usually accompanied by body language to further illustrate the speaker’s story. Can you guess what these signals mean?